Matt’s first job out of college was as a commercial lender. He lasted eleven months before a client told him, “You have too much brains and personality to be a banker.” Matt jumped from the bank into the froth of the dot-com boom where he has spent his entire career in commercial real estate. Matt specializes in investment and development in Downtown San Francisco and the Bay Area advising building owners, tenants and developers. Throughout his brokerage career, he has closed more than 1MM square feet of leasing transactions and more than $1BB in investment sales. Prior to founding Finlay Pacific, Matt held institutional brokerage positions at Grubb & Ellis, Inc., NAI Global and GVA Worldwide. Matt left the brokerage world to run the West Coast operations of Zapolski + Rudd, a privately held real estate development firm based in San Francisco and Napa. At ZR, Matt directed the leasing, asset management, acquisitions, financing and property management of their $200MM West Coast portfolio. The debt crisis of late 2008 slapped some reality into the starry-eyes of the young Brasler, and guided him back into the brokerage business. But this experience as a principal shaped his perspective, helping him see the business through the eyes of an operator. To this day, Matt details every brokerage transaction as if he owned the property himself. In his personal time, Matt is an avid cyclist. Riding with the famous Schmidt’s Raiders, Matt logged 199 crossings of the Golden Gate Bridge in 2013 commuting on his bike to work. And in 2014, Matt achieved his goal of the California Triple Crown, cycling three double century rides (200 miles in one day) over the summer season. 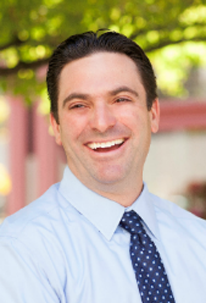 At home, Matt is the Chair of the San Anselmo Planning Commission. Zach Minor has over a decade of experience in commercial brokerage, finance, and real estate development. Specializing in the leasing and sale of commercial properties, he provides reliable, honest, and qualified expert advice to each of clients. His services include providing comprehensive real estate strategies, encompassing site selection, financial analysis, lease negotiation, acquisition, and disposition. Zach began his career in commercial real estate at the age of 12, when he was hired by his neighbor, the President of California Development Inc., to rehabilitate several industrial properties. The work consisted primarily of sweeping warehouse floors and cleaning up graffiti, but he was also educated on the basics of commercial estate. The experience inspired Zach to pursue a degree in Land and Urban Economics. Zach obtained his degree from California State University, Fresno, where he also was a starting pitcher for the University’s nationally ranked baseball team. After college, Zach played professional baseball in the Philadelphia Phillies Major League Baseball Organization where he spent three seasons as a closing pitcher. Prior to cofounding Finlay Pacific, Zach worked at Menlo Capital Group and NAI Global. He lives with his wife and two daughters in North Berkeley. Adam leverages his successful sales and marketing experience to work with landlords and perspective tenants looking to build their businesses in the competitive Bay Area real estate environment. Adam has helped dozens of clients from early-stage startups to established companies; non-profits and law firms find creative solutions to their office leasing needs. In addition to working in the SF Bay Area, Adam also has experience working at CBRE's Toronto West office where he expanded his knowledge to include working with large institutional landlords. Fluent in Spanish, Adam received his master's degree in International Economic Relations and Negotiations from Universidad de San Andrés in Buenos Aires, Argentina and his Bachelor of Arts from Denison University, where he was a member of the Swimming and Diving Team.